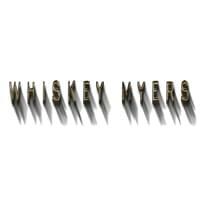 Over two whirlwind years, the gritty Texas band, Whiskey Myers, hit #1 on the iTunes Country Chart with their breakout third album Early Morning Shakes. 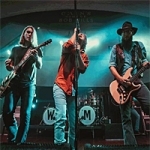 They don’t come any more southern than Whiskey Myers, fueled by larger-than-life performances. Their stellar new album, Mud, is a raw sound of visceral emotion: pride, faith, desire, defiance. Whiskey Myers’ music fits neatly into no genre. While influenced heavily by country music, the band credits everything from Alan Jackson to Nirvana as inspiration. 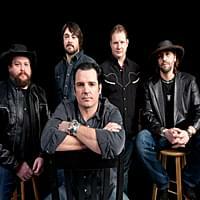 Reckless Kelly with the Braun brothers is a group with family legacies in music performance. Music Row magazine proclaimed, “In my perfect world, this is what country radio would sound like.” The band claims that the Heartland gave them authenticity. Their Grammy winning song Long Night Moon in 2013 is part of a long string of critically acclaimed work. Reckless Kelly opens for Whiskey Myers in what is sure to be a tremendous night of Red Dirt. The Nebraska State Fair is an annual 11-day event that is held at the end of August through early September, ending on Labor Day. The fair is hosted at Fonner Park in Grand Island, NE. The Nebraska State Fair offers insights into the unique culture of Nebraska. It is built on 147 years of tradition and showcases the talent, products and people of Nebraska. Here, Nebraskans come together to experience the latest technological advancements in agriculture, first-class entertainment and the most delectable and extraordinary food the state has to offer. Like many state fairs, the Nebraska State Fair includes a competitive livestock exhibition, farming equipment trade show, and competitions in other fields, such as handmade crafts and baked goods.